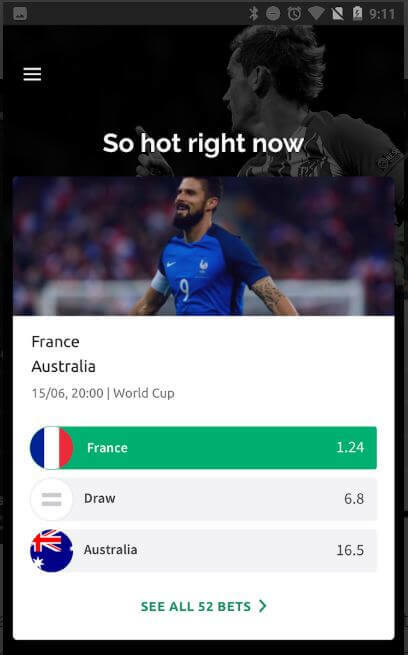 UK based punters should get excited now that Smarkets, a renown betting exchange platform, has decided to release their SBK app for mobile devices. Keep reading to find out what makes this mobile app so special and more about SBK Sports betting. Smarkets became known for their detail-oriented approach to the sports betting market and their high-quality customer service. This is why we are expecting a lot from their SBK App. Please bear in mind that the new SBK App is still in the beta testing phase which means that in order to use it, players need to register via email and wait for the invitation code from SBK in order to use it. We hope that soon enough it will become available to the general public too, and this is what we can expect to see! 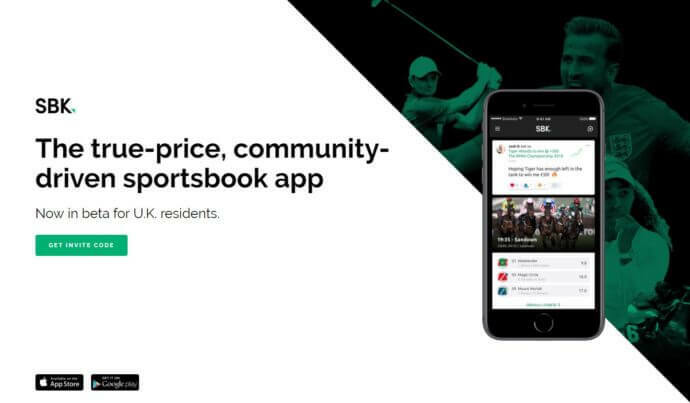 Smarkets presents its new mobile app as a modern sportsbook app that will be able to offer its players much better odds than the competitive brands on this market. However, we are more interested in the look and feel of this new online betting platform. At a first glance, the new Smarkets’ app has a really clean interface which is crucially important when it comes to user experience. Players can explore some of the most popular events at the moment from the app’s homepage. As we have noticed, placing your bets is quite easy to do and the whole betting experience is followed by an appealing design. By opening a side menu on the left side of the interface, SBK Sports betting categories list opens up and a user can browse through various sports classes. 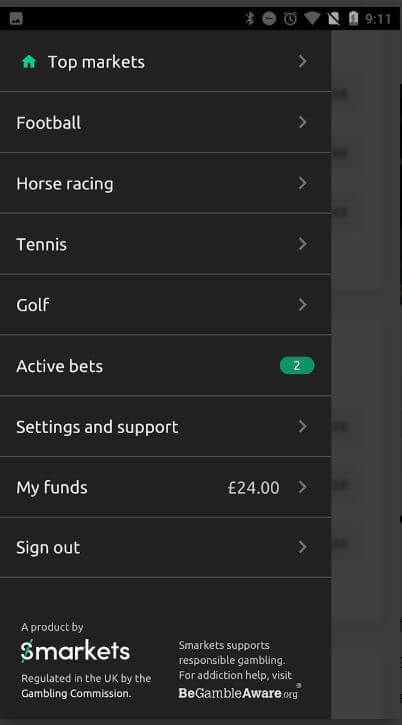 Furthermore, the side menu has a Settings and support button which can help new players sort out their preferences and deposit/withdrawal methods along with other personalised adjustments. Below the settings and support section, the user can access their funds at any time and check their current balance. Placing a bet on this SBK sports betting app seems like a very painless process thanks to the well-designed user experience. Players can place one or more bets at the same time and see the overview of their total stake and the potential return before they finally place their bets. Smarkets became known for the wide range of betting offers and the mixture of different sports categories. The SBK App, as we’ve seen from the beta release, has the same kind of sports offers for each target group of punters. Smarkets started out as a project of a small group of investors and developers who had an idea to take the financial trading principles and apply them to the sports betting world. Now, 10 years later, this brand uses its central office in London to navigate 106 employees from around the world. The company takes a lot of pride in having the best odds among the competition and in the diversity of their offers on a day-to-day basis. It makes sense then, that this operator has handled over £5 billion worth of trades in the last eight years. Besides their central office in London, Smarkets have their offices in Los Angeles and Malta too. Live and up to date scores, etc. Having impressive odds and user interface doesn’t mean much if the operator is not there for their most loyal customers when the issues arise. We are happy to report that so far we have heard only good things about the SBK app customer support team. From the quality of their service to the response time, they’ve shown that they care a lot about their users. We should expect that they will only become even better at what they do in the future. The new SBK sports betting app looks like a good opportunity to have fun and enjoy yourself while you are looking for the right bet to wager on. We think that Smarkets will meet the expectation of both new and existing users, and their first reviews are full of praises regarding the odds quality and the interface itself. For more information about this new app and the Smarkets brand itself, revisit this review sometime in the future and check the latest updates! And if you are interested in more offers, see our Unibet Bonus Code 2018 review!